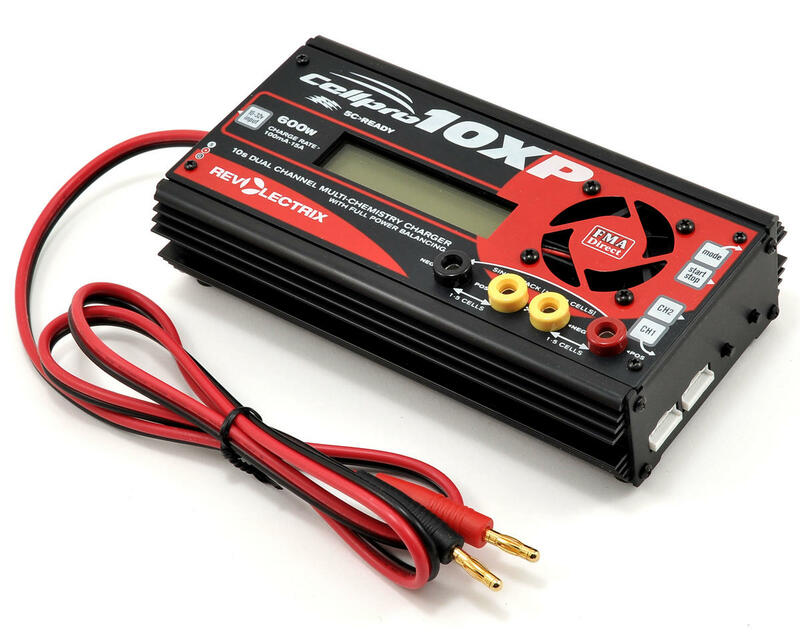 This is the Revolectrix Cellpro 10XP Lithium Battery Charger Combo, with an included XH-EH Balance Adapter. Built on the original Cellpro 10s charger technology and feature set, the Cellpro 10XP is designed to provide a whopping 15A max current output, and 600W of power (rated @30V DC input when charging a 10s Li battery) - all without increasing the size from the original product. At right around $.25 per watt, you will be hard-pressed to find a safer, faster, more-complete solution to meet your charging needs in the 600W class. Supporting manual charge currents up to 15A or AUTO Charge rates (1.0C, 2.0C, and 3.0C), the CP10XP is capable of safely charging one or two lithium battery packs. Add to this new features like Multi-Chemistry support (the CP10XP can charge Li, A123 (LiFePO4), NiCd, NiMH, and Pb battery types), Auto charge or discharge to storage levels (Li only), 10 user-configurable presets, free Charge Control Software (CCS), and you really start to get an idea of how much value is packed into this U.S.-designed and supported charger. As a lithium battery charger, the CP10XP still maintains the key aspects of the original 10s in that it is literally a plug and play device. After connecting the batteries to the charger, charging commences with the press of a button. The charger will always remember the last-used preset. But leave it up to FMA Direct to come up with clever, intuitive ways to support multiple chemistries. Out-of-the-box, the Cellpro 10XP is ready to handle virtually any type of battery available. Chemistry's are assigned to user presets. Just select a preset, connect the battery, and press the START button. Chemistries, cell count, and current can also be changed at the charger "on the fly". If using the free CCS (requires FUIM2 or FUIM3 PC USB interface), full access to available preset parameters are easily adjustable including preset names, selection for multiple canned fuel tables (to improve the accuracy of AUTO charge mode for your battery types), and more! Because it is a Cellpro, it is designed to be safe first and foremost. It is virtually impossible to damage batteries with the Cellpro 10XP charger. It will not let you make a mistake. It must see all the cells in a Lithium pack and the sum of the cell voltages must equal the total pack voltage. It is ideal for charging one or two LiPo, LiIon, or A123 type batteries. When two packs are connected to the 10XP, it automatically interconnects them in series internally inside of the charger. It essentially "sees" all the individual cells as one pack of cells. It can handle 1s-5s on either or both balance charge ports, or it can handle up to a 10s battery pack using both ports. 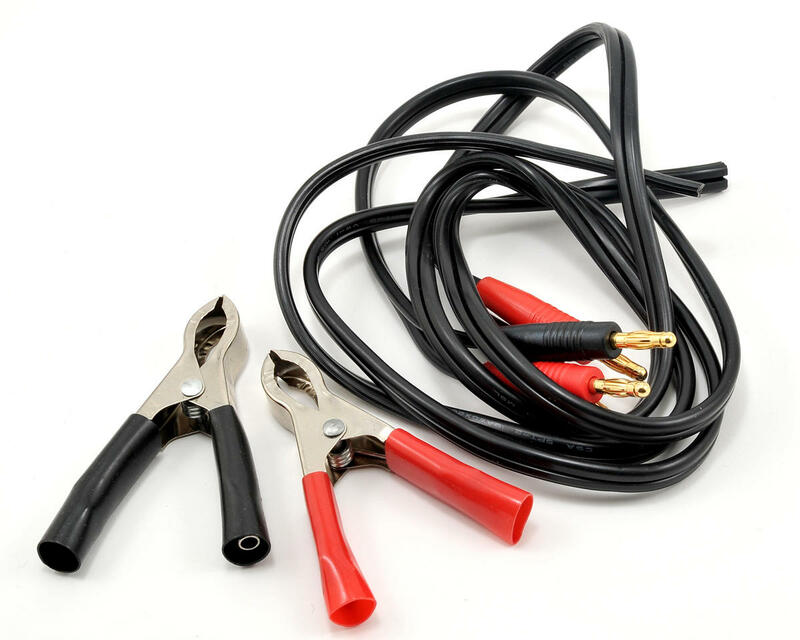 To achieve the full 15A max output current, connect both the balance connectors and the main leads from the pack(s) to the banana jacks. * While the Cellpro 10XP can handle charging two packs of different capacities or charge states, it is mainly intended to support 2 pack charging when the packs are the same or similar capacity and state of charge, such as 2 x 4s packs which are wired together in series or parallel during operation in an electric aircraft. 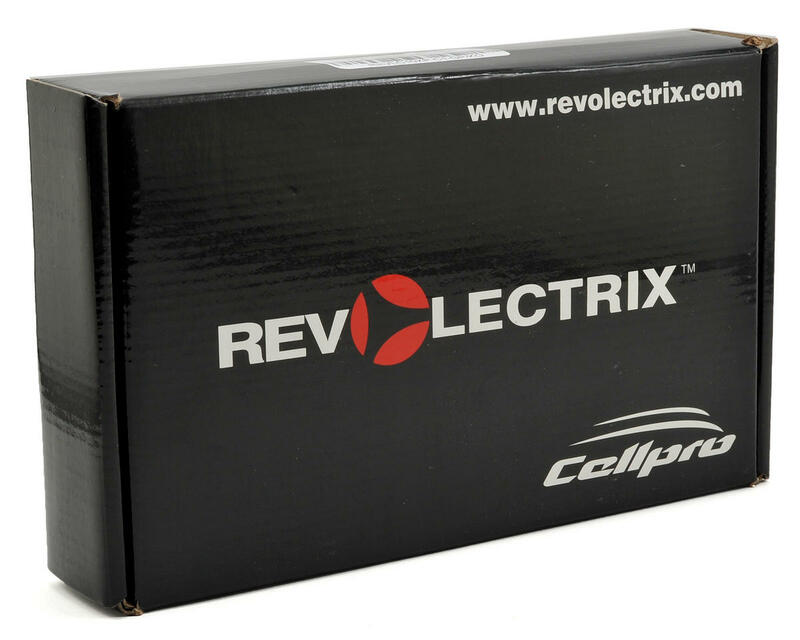 The Cellpro 10XP charger supports the direct connection of all Cellpro Revolectrix battery packs. Certain Cellpro battery packs may require the use of the Cellpro 6 pin -to- 5 pin adapter (sold separately). In addition, FMA currently sells 4s adapters separately to interface with various manufacturer's battery packs up to 4s configurations. If you own a Cellpro 4s, Cellpro GOLD, or Cellpro Multi4 charger, you may have the adapters you need already. 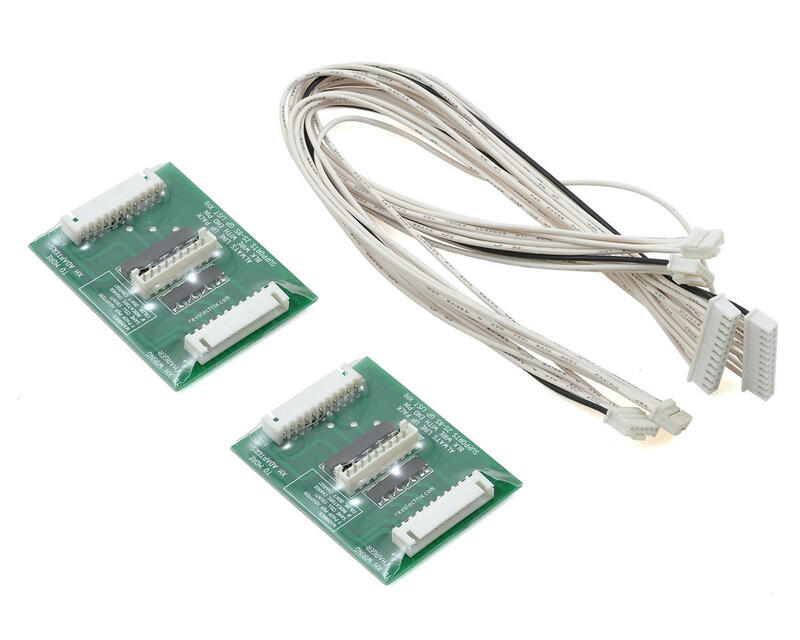 These adapters may be used with the CP10XP charger for packs up to 4s by connecting through the Cellpro 6 pin-to-5 pin adapters. FMA also offers Cellpro 10s adapters for other manufacturer's 2s to 6s packs for use with the Cellpro 10XP directly. Two adapters are required to charge two packs using the Cellpro 10XP charger. If you already own Cellpro 10s adapters, these work directly with the Cellpro 10XP as well. It is recommended that you download and read the available User's Guide to determine your precise requirements. A customer may also adapt to his larger battery packs (over 6s) by installing the 6 pin Cellpro balancing connectors (CPBP6P-10) or a combination of the 5 pin Cellpro balancing connector (CPBP7) and the CPBP6P-10 to his battery packs directly. All current and future Cellpro Revolectrix branded battery packs will adhere to the following conventions for the above connectors. Last, but not least, the Cellpro 10XP also supports XH MODE wiring. This feature originally became available in the Cellpro PowerLab 8 Battery Workstation. By default, the CP10XP is set up to work on the original FMA wiring standard. But if the wiring mode is switched to XH MODE, the charger will work with batteries including the ever-popular JST XH or EH balance connectors and wiring scheme. By switching the CP10XP over to XH MODE, you can easily interconnect the charger to your favorite standard or parallel adapters. This involves retrofitting (replacing) the JST XH/EH balance wire pigtail coming from the standard or parallel adapter with the 6 pin Cellpro battery pigtails. XH MODE is also covered extensively in the available user's guide. Charges Lithium Polymer, Lithium Ion, A123, NiCd, NiMH, and Pb packs. Charges any brand of pack. Supports high-power balance charging of Li or A123 battery packs. Balance charges one 1s to 10s pack, or two 1s to 5s LiPo packs simultaneously. When two packs are connected, the balance connections and pack main discharge wires are wired in series by the charger. Equipped with Cellpro brand (JST PA series times two, 6 position) balance connectors which enable the charger to monitor and independently charge each cell to its optimum level (balance charge operation). Accepts Cellpro 10s Adapters for plug-and-play compatibility. Cellpro 10s Adapters support from 2s to 6s battery packs (all brands). Backward-compatibility with older Cellpro 4s adapters is assured using the available 6-pin to 5-pin adapter(s) (REVO PN: CP10S-5S/4S-ADP-US) for charging 2s to 4s Cellpro packs having 5-pin balance connectors. Supports customer-selectable, XH MODE. JST XH/EH balance connectors and wiring are growing to be the dominant scheme in the industry. Switching to XH mode, the CP10XP can support existing XH/EH style adapters you may already own. Splice in REVO PN: CPBP6P-10-US battery pigtails to the balance wires on existing adapters and you are good to go! Supports non-balanced charge of Li (up to 2s), Ni (up to 28 cells), Pb (up to 24V), A123 (up to 12s). Up to 15A max charge current. 720W max continuous input and 605W max continuous output at 30V DC input. Charger will achieve rated output to a 10s LiPo using 30V DC input. Increasing input voltage beyond 30V does increase power output, but only if the charger's output voltage exceeds 42V; e.g., when charging 12s non-balanced A123 packs. However, 32V DC input is a maximum rating. It is recommended to utilize input voltage slightly below the absolute maximum. Supports AUTO rate charging (1.0C, 2.0C, and 3.0C charge rate) using Advanced Fuel Gauging technology, or manual set currents of 0.10A - 15A in 0.10A increments. Power-balance-charge packs through balance connectors in tandem with the main discharge wires of the battery pack(s). Unit does not support balance-connector only charging. Compensates for balance wire lengths up to six feet with 1mV accuracy. Displays individual cell internal resistance to 0.1 milliohm, for estimating pack quality, health, and performance. Storage Preset available to charge or discharge Li batteries to appropriate per-cell storage levels; 3.8v (LiPo), 3.0v (A123). During discharge to storage, the CP10XP incorporates 1A-per-cell (nominal) discharge rate using the charger's integrated balancing circuitry to provide up to 42W (at 10s) discharge power. Supports Bi-directional, optional PC interface (REVO PN: FUIM2-US or FUIM3-US) which enables extensive charger setup using the CCS. Configure up to 10 custom presets, adjust speaker volume, set LCD contrast and control many other settings. CCS automatically checks for software and charger firmware updates in the background. Update charger firmware reliably with the click of your mouse button, and without sending the charger back to the factory. Keep up-to-date with the latest enhancements and bug fixes. 6 different, available Fuel Gauge lookup tables (fuel tables) may be assigned to independent presets to match the characteristics of different Li battery chemistries. This feature is only available using the CCS. Works with a wide range of power supplies, even those not rated for high power. Easily changes from moderate current bench supply at home to car battery at the field using the Power Management feature. Set Input supply amps limit and supply low voltage settings using the CCS or at the charger interface, to prevent damage to your input source. Light-grey, 2 line, 16 character backlit LCD display provides easy readability. One button, Charge Optimization can be set for an Accurate 1mV cell balance and (C/20 termination) or for Faster Charging (less balancing accuracy and C/10 termination) using the Charge Control Software or at the CP10XP interface. Protects your Pb input source from over-discharge by providing an audible warning when input voltage of your Pb battery approaches 50% state of charge. Intelligent controller performs extensive checks to prevent damage to packs and power supply. This makes it virtually impossible to damage the charger or the batteries from incorrect connections or wiring; including, but not limited to reverse polarity. Simple, effective, 2-button interface allows instant access to presets, preset parameters, and starting and stopping charger operations. Access pre-defined, named presets by clicking the MODE button. Hold the MODE button to access the Main Menu operations: Choose Chg. Amps, Choose Chemistry, Show Help Screen, Exit. Use the charger's Main Menu to alter basic settings of presets on-the-fly, or make the adjustments using the free PC Charge Control Software (CCS). Press and hold the START/STOP button to start charger operation or cancel/end a charging session. Press and hold MODE button during power up to access Options Menu; choose input amps limit and supply low voltage setting (Power Management feature), alternate between FMA or XH balance wiring schemes, and set quiet charging (no speaker beeps during charging). NOTE: *Available charger current may be limited for certain battery types depending on the number of cells charging in series and also by the ambient and internal temperature of the charger during operation. all specifications and features listed above subject to change without notice. The Cellpro 10XP charger no longer supports balance-wire-only charging and; therefore, no longer requires the "plug blocker" that came with the original Cellpro 10s charger. I've owned this charger for well over 3 years now and it performs flawlessly. Its highly accurate, fast, and powerful. The only downside is the menu structure and interface. You have 2 buttons to interact with which means if you miss the intended setting or hold a button too long you could end up with the wrong setting or in another menu setting altogether. Still, with 10 presets possible, I literally only use 3. Overall, I'm very impressed with this charger and would recommend it to anyone looking for reliability and accuracy. Outstanding charger !!!!! I use this charger mainly for 4S 5000mah batteries. From storage charge to full balance charge takes about 30 minutes.